It being over ten years now since Strasbourg first ruled that the UK blanket ban on convicted prisoner voting in general elections (enshrined in s 3 of the Representation of the People Act 1983), breached Art 3 of Prot 1, I thought a chronology on the whole saga could be useful (to this extent this post builds on a previous one, here). A chronology could also be useful as, later this week in Moscow, a one day conference is taking place to discuss the prisoner voting issue, a matter which the UK and Russia have something in common in that, like the UK, Russia also bans convicted prisoners from voting. Indeed, the ban is reflected in Russia’s constitution – and Strasbourg has found Russia in violation of a Art 3 Prot 1 in its equivalent of the Hirst case: Anchugov and Gladkov v. Russia, 2013. (Details of the event I refer to can be found here). I will endeavour to offer some further thoughts on this matter – detached from the chronological approach – in due course. What follows does not claim to be an authoritative account of every aspect of the saga, but may prove of some use given the embedded links (so that the reader can easily access the materials themselves). For fuller analysis and critique of the saga, up to 2014, at least, see E Bates, ‘Analysing the Prisoner Voting Saga and the British Challenge to Strasbourg’ 14(3) 2014 Human Rights Law Review 503-540. A detailed and comprehensive Briefing on the prisoner voting issue has also been produced by the House of Commons’ Library, and is well worth consulting (it can be found here). Finally, the Strasbourg Court’s Press Unit has produced a factsheet on its case law concerning prisoner voting, which includes details of several cases not mentioned below. This too is worth consulting (here). Hirst v UK Chamber judgment 30 March 2004 – Hirst v UK Grand Chamber judgment 6 October 2005: blanket ban on prisoners voting in the UK is in contravention of the ECHR. Despite consultation domestically, the law was not changed in time for the May 2010 General Election. In fact, no reform proposals at all were put to Parliament. In his autobiography the Minister of Justice (2007-2010) acknowledged that he ‘spent three years ensuring that the government took no decision’ on Hirst (see J Straw, Last Man Standing, (Macmillan, 2012) at 538–539)). DECID[ING] to resume consideration of this case at their 1078th meeting (March 2010) (DH), in the light of further information to be provided by the authorities on general measures. Further consideration followed in March 2010. Greens and M.T. became final in April 2011, which meant that the initial deadline for the ‘legislative proposals’ under (a) above was October 2011. ‘Initial’ – for as we shall note in a moment the orders were soon suspended. Before coming to that we might recall that, anticipating the judgment in Greens and MT, in early November 2011 the government indicated it would change the law (the British Prime Minister famously told the House of Commons that the prospect of giving prisoners the vote made him ‘physically ill’, but that was in the context of an anticipated law reform). Immediately, David Davis MP called for Parliament to challenge the Strasbourg Court on this issue. That would lead to the February debate, noted below. ‘Government will bring forward legislation… providing that the blanket ban in the existing law will be replaced’. It is plain that there are strong views across Parliament and in the country on the question of whether convicted prisoners should be entitled to vote. However, this is not a choice: it is a legal obligation. Governments have an absolute duty to uphold the rule of law. And at this of all times we must avoid risking taxpayers’ money in ways that the public would rightly condemn. In the light of this, and of the legacy left by the last Government, the only responsible course is to implement the judgment, and to do so in a way which ensures the most serious offenders continue to lose the right to vote. So, the government had said, in effect, it would abide by the Strasbourg Court’s ruling – although, of course, Prime Minister Cameron’s ‘physically ill’ statement had sent a signal, had it not? ‘That this House notes the ruling of the European Court of Human Rights in Hirst v the United Kingdom in which it held that there had been no substantive debate by members of the legislature on the continued justification for maintaining a general restriction on the right of prisoners to vote; acknowledges the treaty obligations of the UK; is of the opinion that legislative decisions of this nature should be a matter for democratically-elected lawmakers; and supports the current situation in which no prisoner is able to vote except those imprisoned for contempt, default or on remand’. Following this vote, the UK government unsuccessfully sought a rehearing of Greens and MT (and, in effect, Hirst) before the Grand Chamber. After the rejection of the request to rehear Greens and MT, but somewhat reluctantly it seemed (see Bates above), the Court agreed to suspend the Greens and MT orders against the UK until six months after judgment in Italian prisoner voting case to be heard by the Grand Chamber, Scoppola v Italy No 3. The UK government was permitted to intervene in this case, which sought to bring clarity to the relevant law on Art 3 Prot 1 (indeed there was inconsistent Strasbourg jurisprudence on the prisoner voting issue (see Bates above) although the law was clear that blanket bans on convicted prisoners voting breached the Convention). Scoppola was widely seen as Strasbourg’s attempt at appeasement, for it signalled (in essence) that a comparatively minor change to the UK’s laws was very likely to comply with the Convention. (See the Court’s press release, and this excellent commentary from Dr Marko Milanovic, here). Nevertheless, the effects of Strasbourg law were such that the judgment still required domestic law to be amended. In immediate response to Scoppola PM Cameron now stated that the issue ‘should be a matter for Parliament to decide, not a foreign court. Parliament has made its decision, and I completely agree with it’. The House of Commons has voted against prisoners having the vote. I do not want prisoners to have the vote, and they should not get the vote—I am very clear about that. If it helps to have another vote in Parliament on another resolution to make it absolutely clear and help put the legal position beyond doubt, I am happy to do that. But no one should be in any doubt: prisoners are not getting the vote under this Government. A month after the Prime Minister’s statement, and with one day to go before the expiry of the 6 months order to bring forward legislative proposals, the UK government tabled a Draft Voting Eligibility (Prisoners) Bill. It included three options: two law reform options that appeared to be Hirst/Scoppola-compliant, but one which clearly was not, and was contrary to the spirit of the Greens order, in that it amounted to reinstating the current blanket ban. With the above Draft Bill published, the UK government presented an Action Plan to the Committee of Ministers. Amongst other things, when explaining the General Measures that the UK would take to implement the Hirst ruling it was stated: ‘When the Joint [Parliamentary] Committee [o the Draft Bill] has finished its scrutiny, the Government will reflect on its recommendations and will continue the legislative process as soon as possible thereafter’ (emphasis added). The official position (set out by the then Minister of Justice (Chris Grayling MP)) was that the UK was under an international law obligation to implement the relevant Strasbourg ruling(s), but that Parliament, i.e. MPs, had a ‘right’ to refuse to do so (leaving the UK in breach of international law). The Minister left little doubt that his own personal view was that the Court has aggrandised its jurisdiction, and that reform of the Strasbourg system further to the Brighton Declaration was imperative. Meeting in December 2012 the Committee of Ministers ‘noted’ the Draft Bill ‘with great interest’ and that in Parliamentary proceedings the UK Lord Chancellor had acknowledged that the UK was under an international legal obligation to comply with Strasbourg judgments made against the UK. It emphasised that the option contained in the Bill to reinstate the current blanket ban was not Convention-compliant. The Joint Committee reported in December 2013, and its consideration of the issues may be viewed under two headings (as one reads on, it is important to note that what the Committee said was, in essence, advisory only. It did not bind MPs, or the government. Then again, it was an authoritative consideration of the matter by a body that had spent a great deal of time on the issue, heard many witnesses and received many written submissions). … all democratic states restrict the right to vote in order to achieve clearly defined, legitimate objectives. 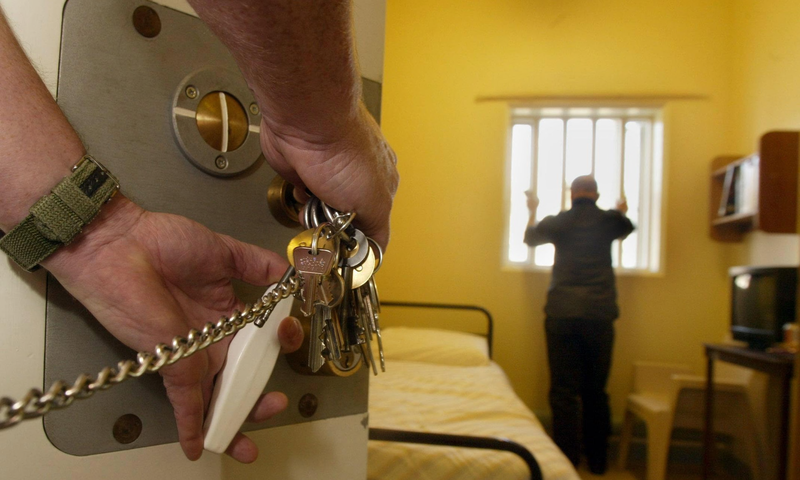 we recommend that the Government introduce a Bill at the start of the 2014-15 session, which should provide that all prisoners serving sentences of 12 months or less should be entitled to vote in all UK parliamentary, local and European elections; and moreover that prisoners should be entitled to apply, up to 6 months before their scheduled release date, to be registered to vote in the constituency into which they are due to be released. The Committee expressed the view that the option to reinstate the ban should not be included in the raft Bill. We acknowledge that public opinion appears at present to be against prisoners voting. However, it is difficult to judge how deep-rooted these views are, given that the debate over prisoner voting has so often been lost in the wider debate over the United Kingdom’s relationships both with the European Court of Human Rights and the European Union. The public has yet to be presented either with the clear evidence that the current prohibition is both arbitrary and ineffective, or with the arguments in favour of granting some prisoners the vote. We note that of the 47 Council of Europe member states, the United Kingdom is one of only five that maintain a comprehensive prohibition on prisoner voting, the others being Armenia, Bulgaria, Estonia and Russia. …the principle of parliamentary sovereignty is not an argument against giving effect to the judgment of the European Court of Human Rights. Parliament remains sovereign, but that sovereignty resides in Parliament’s power to withdraw from the Convention system; while we are part of that system we incur obligations that cannot be the subject of cherry picking. A refusal to implement the Court’s judgment would not only undermine the international standing of the UK; it would also give succour to those states in the Council of Europe who have a poor record of protecting human rights and who may draw on such an action as setting a precedent that they may wish to follow. 229 … We also understand that it would be completely unprecedented for any state that has ratified the European Convention on Human Rights to enact legislation in defiance of a binding ruling of the European Court of Human Rights. … Under domestic law Parliament can of course legislate as it sees fit; but if it wishes to uphold the United Kingdom’s long tradition of respect for and attachment to the rule of law, Parliament should either enact legislation complying with the Hirst judgment or take steps to denounce the Convention, of which the United Kingdom itself, in the years following the Second World War, was the prime mover. The latter outcome is not one that we could countenance in respect of an issue of modest practical importance. In the Committee’s view, then, rule of law (and political) considerations prevailed over a full expression of Parliamentary sovereignty, although a minority view was evident in the Minutes of the Committee’s Report. We note the recent and continuing reform of the Court, and, while it falls outside the scope of our inquiry, we also recognise the need for further reform of the Court and in particular of its relationship to democratically elected national legislatures. We also note the concern of the Secretary General of the Council of Europe to help the United Kingdom find a way out of the current crisis, which threatens the entire Convention system. [As an aside, beyond the scope of this post, there is significant evidence that the concern expressed by the Committee here has been met with a response on the part of the Court itself. See, for example, Judge Spano’s lecture here]. A further letter from the UK (dated 4 March 2014, attaching to it a letter from the then Minister of Justice, dated 26 Feb 2014) stated that the matter was under ‘active consideration within government’. 4 . urged the United Kingdom authorities to adopt the parliamentary committee’s recommendation to introduce a bill to parliament at the start of the 2014-2015 parliamentary session and reiterated the importance of rapidly concluding the legislative process. In fact, following the publication of the Committee’s report of late 2013, throughout 2014 there was, as far as I am aware, no attempt on the government’s part to progress the matter before Parliament. In December 2014, it was announced that it would not be possible to resolve the issue before the May general election. Subsequently, the Conservative’s general election manifesto promised reform of the Human Rights Act boasting (apparently) that ‘we [have] stopped prisoners getting the vote’ (p 60). A Conservative electoral victory followed. The Queen’s Speech (May 2015) did not mention the prisoner voting issue. it is clear following the result of the General Election in the United Kingdom that there remains widespread hostility in Parliament to giving prisoners the vote. and the Committee decided ‘to resume consideration of these cases’ at its December 2015 meeting, ‘and, in the event that no Bill has been introduced to Parliament in the meantime, instructed the Secretariat to prepare a draft interim resolution to be distributed with the revised draft order of business’. In the meantime, on 23 Oct 2013, the Court resumed the consideration of over 2000 prisoner voting cases directed against the UK (the cases had been suspended by the Greens and MT judgment in expectation that the underlying law reform problem would be resolved). The ‘Firth’ judgment (12 Aug 2014) followed (violations of the ECHR were found, but no compensation was awarded). A similar judgment in McHugh and others (another 1000 or so cases) followed in February 2015.